1. Do Something Fun: The gym is not the only setting for exercise. 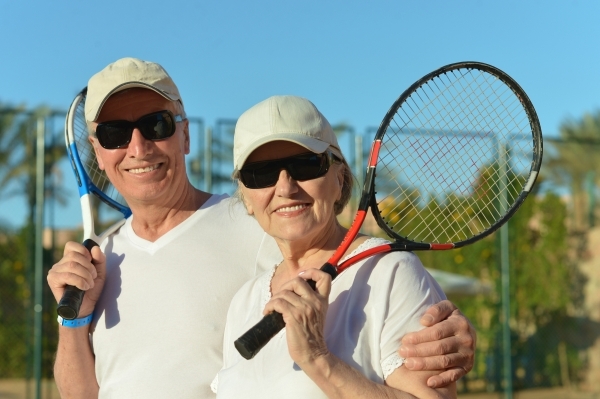 Recreational centers offer sporting events and other exercise programs to the community. Also, yoga, tai chi, dancing, tennis, mall walking, and swimming are fun activities that get the heart rate in motion. 2. Wear Appropriate Gear: Having the appropriate gear when exercising promotes comfort and safety. Wear clothing that is suitable, such as using a helmet and comfortable sneakers if you plan to go mountain biking. 3. Stay Hydrated: Keeping hydrated is particularly important when exercising for extended periods of time and in hot weather conditions. In general drinking fluids is central in preventing dehydrating during exercise. Carry a sports bottle with water or like quenching drink when engaging in physical activities. It’s best to refrain from sugary drinks, sodas, and caffeinated beverages. 4. Get Professional Input: Most gyms and recreational centers offer personal trainers and coaches who can provide assistance. Be sure to consult with your physician first to determine an exercise regimen that’s suitable for your individual health needs. 5. Set Your Own Pace: It’s important to exercise at your own pace, making sure not to overexert yourself. Take breaks as needed throughout your workout. Also, keep exercises to a level that is comfortable and in accordance with your doctor’s guidelines. 6. Maintain an Exercise Routine: Consistency is essential when aspiring positive results in any exercise program. Whether you are seeking weight control or other health benefits, physical activity should be part of your lifestyle. After developing an exercise plan with your practitioner, set times and days in your schedule to incorporate exercise. 8. Track your progress: Document the days of the week and amount of time engaged in exercise. Some people track their weekly weight and exercise goals. Don’t focus too much on the number on the weight scale; rather monitor your daily energy levels, sleeping patterns, mood, and other noticeable health benefits.